The PSPA International Ensemble was led by internationally-renowned conductor Eugene Pook, who has performed in prestigious venues around the world including Carnegie Hall in New York, USA. The performance featured 13 outstanding and world-class musicians from Canada, Hong Kong, Singapore, Malaysia, the Netherlands and the USA. 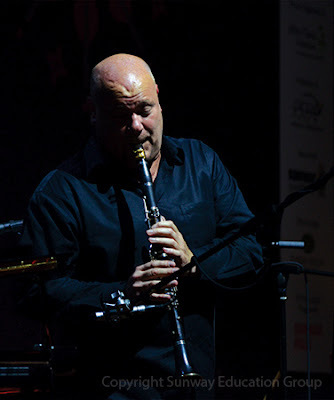 This year’s ensemble also featured the renowned clarinet soloist, Andrew Simon who is the Principal Clarinet from the Hong Kong Philharmonic Orchestra known for his critically acclaimed musicianship, and is lauded by the prestigious international performing arts magazine, Auditorium Magazine for his divine technique. 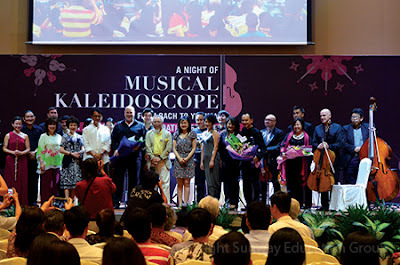 “A Night of Musical Kaleidoscope” came to Sunway after Penang and Ipoh and it is the third time that the JCF and PSPA have partnered together to promote the appreciation of music and the arts to the community. Sunway University Ensemble whose members include a few Jeffrey Cheah Foundation Talent Scholarship recipients made an appearance. The University’s ensemble has gained a reputation as a community ensemble and is highly sought-after for community and corporate events and benefits. 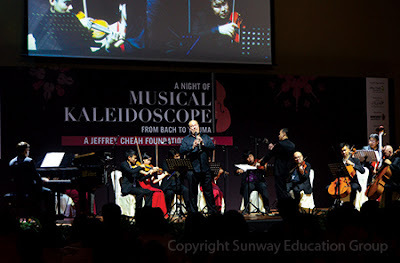 “We are grateful to the many corporations and members of the public who has not only supported the Jeffrey Cheah Community Scholars but also help propagate an appreciation for music and performance,” said Dr Elizabeth Lee, Senior Executive Director of Sunway Education Group and Sunway University. The Sunway University Ensemble’s performance received compliments from Pook which served as a strong motivation for them. Rockie Siew Wi Nam, conductor and consultant of the Sunway University Ensemble was pleased with their involvement in the Musical Kaleidoscope. “We have certainly benefitted from the Musical Kaleidoscope as the students were not only able to get a chance to play and perform, but also to talk to musicians,” added Siew. All proceeds from the recital benefited the JCF Community Scholars who are from homes and orphanages in Malaysia who would otherwise not have access to quality education. To-date the JCF has aided 144 community scholars selected from homes and orphanages throughout Malaysia. This year another 20 will receive the opportunity of a quality tertiary education. The scholarship covers full tuition, accommodation, living allowances and books.